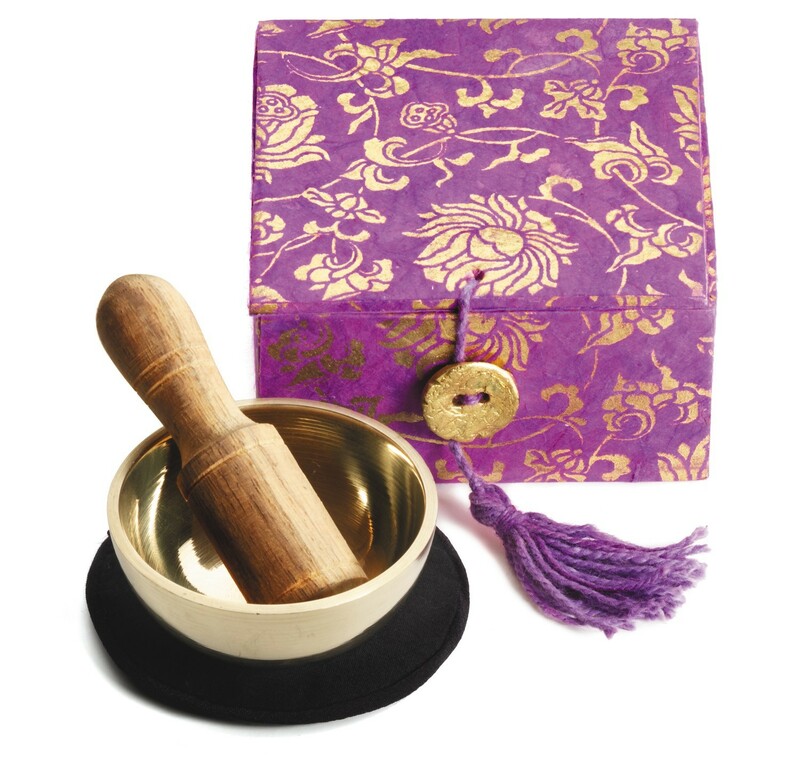 Mini Meditation Bowl- Purple Lotus 2"
Home > Meditation > Singing Bowls and Meditation Bowls > Mini Meditation Bowl- Purple Lotus 2"
The same wonderful meditation bowl box, with an even smaller bowl inside! A single tap to this little 2'' wonder brings forth a surprisingly powerful sound. A great tool for mediators, teachers and anyone who is willing to take a moment to pause, breathe and relax. Instructions for a mini meditation are included. The vining lotus handprinted on the box represents the innate purity in all things. The meditation bowl is handcast and handtuned by skilled artisans in Kathmandu, Nepal. The box is made with Himalayan lokta paper; a sustainably harvested, tree-free eco paper. Spiral Goddess Meditation Bowl 2"
Third Eye Chakra Meditation Bowl 2"
Crown Chakra Meditation Bowl 2"
Flower of Life Meditation Bowl Box 3"